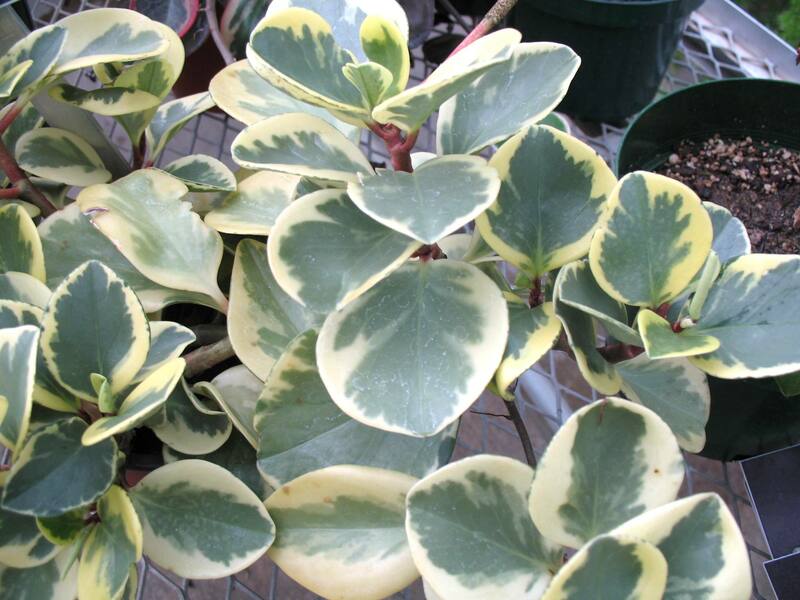 Comments: This is a variegated peperomia that makes an excellent house plant provided that there is sufficient light, preferably during the morning hours. Mature plants can produce upright stems and trailing stems of thick, rounded leaves. Keep peperomias soil only slightly moist to the touch. Overwatering is very detrimental. Peperomias cannot tolerate freezing temperatures.